Rosh Hashanah greeting card, 1933, from the Eisenbergs in Mielnica to the Klingers in Montreal. 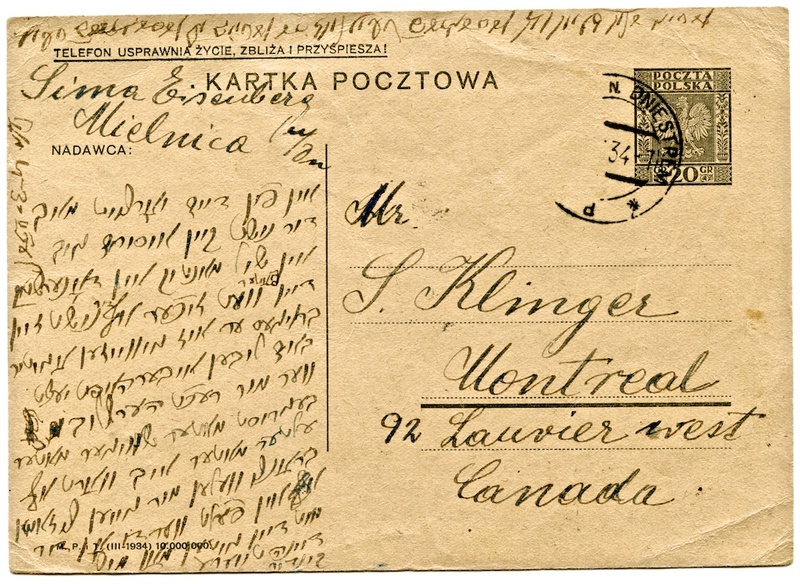 Postcard from Sima Eisenberg to Sarah Klinger, 1934. If you are able to help with the translation of the correspondence, please contact Ellen Caplan.